Now Track your Students, when they travel to School. 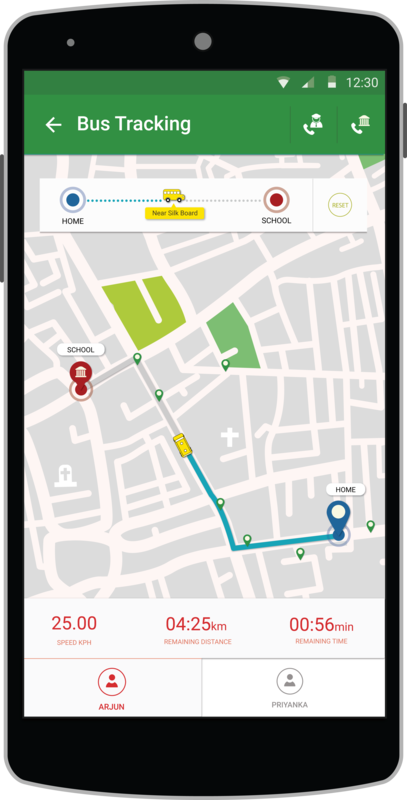 Educhat has come up with a New Facility of “Bus Tracking” feature for your School, to ensure Safety and Security to your every Child. Safety is a big measure to be taken,and the Prime concern of every school and its parents. We have brought about an answer for this long pending concern with “ bus tracking “ facility on your Educhat App. We at Educhat are proud to bring first facility for your school student and parents, - A breakthrough in technology of Safety and Security of your Cherished Ones!. School bus tracking systems help you to analyze the school driver’s performance, Keeping a tab on their Speed Limits, and the option to contact your drivers on duty. Manage Expenses in terms of fuel and the like by providing you with reports on travel distance, travel speed, travel history etc. Not Comfortable with the Travel today? Feel free to reach out to your driver Regarding it! 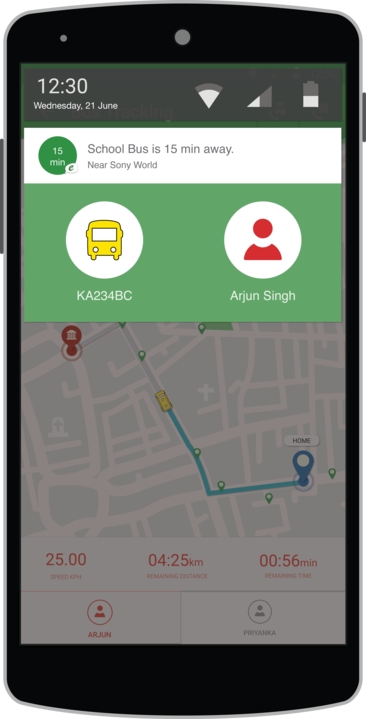 Helps you save energy and time by Automatic routing and planning and scheduling bus stops, so no more Long Waits!